Grains are one of the 5 building blocks that make up a healthy diet. However 40% of Americans do not regularly eat any whole grains. 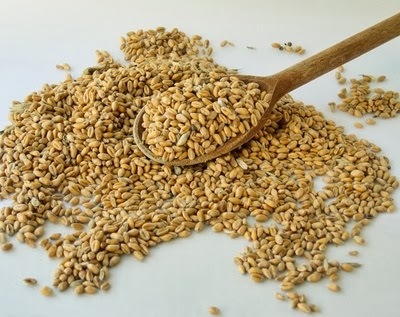 Whole grains unlike their less noteworthy counter part refined grains contain the entire grain kernal, the bran, germ and endosperm. The refining process removes the bran and the germ which also removes the dietary fiber, iron and many B vitamins. Whole grains contain vital nutrients such as fiber, vitamins, minerals and phytonutrients to help fight off disease and maintain a healthy body. By consuming more whole grains you can reduce the risk of heart disease, reduce blood cholesterol levels, reduce constipation and diverticulitis, help with weight management, improve nervous system function, reduce iron-deficiency anemia, build stronger bones and protect your cells from oxidation. Some examples of whole grains include brown rice, buckwheat, oatmeal, popcorn, quinoa, whole wheat bread, pasta, crackers, or wild rice. Include more whole grains in your diet on a daily basis.